How did late-night phone calls between two friends explode into one of the biggest political scandals in American history? “Truth and Lies: Monica,” a new two-hour documentary from ABC News, takes an up-close look at hours of surreptitiously recorded conversations between White House intern Monica Lewinsky and her confidante, Linda Tripp; how the saga that ensued took an emotional toll on the desperate, young intern; and the lengths her colleague would go to uncover an American president’s deception. The special marking the 20th anniversary of President Clinton’s impeachment features new interviews with Kenneth Starr, independent counsel during the Clinton presidency, and Lucianne Goldberg, a literary agent who advised Tripp to make the tapes. The documentary also includes excerpts from Barbara Walters’ extraordinary interview with Monica Lewinsky – watched by a record-breaking 48 million people when it aired in 1999 – and rarely seen or heard evidence assembled by the special counsel, including photos, surveillance material and audio recordings. 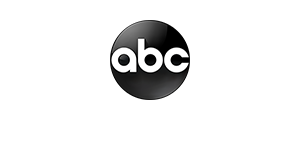 “Truth and Lies: Monica” airs Thursday, Jan. 10 (9:00–11:00 p.m. EST), on The ABC Television Network.